Scarlett Financial is an innovative financial services group created to help people make smart investment decisions earlier so they can experience financial security and more lifestyle choices throughout their lives. It is pretty unique in that it provides the integrated services of Wealth Management, Property Investment, Mortgage Broking and Insurance within the one firm. With each service having specialised consultants that collaborate their specific knowledge to provide their clients with a comprehensive and professional plan. “Too often we had heard people regret not doing more with their income, confused about where they stood financially and not knowing how to get started. People needed guidance on how to make the most of their finances and a smart strategy to help them reach their aspirations,” Nathan Nash, founding Director of Scarlett Financial, explained. With access to a group of specialists within the one organisation Scarlett Financial’s clients are able to have a complete understanding of their financial position and implement a co-ordinated wealth creation strategy. “Our comprehensive service provides our clients with direction and purpose in order to achieve financial security and greater lifestyle choice,” Nathan said. Finding the right financial advice is paramount to achieving a client’s aspirations and is one of the most important decisions in your life. “At Scarlett Financial we understand the importance of this decision and have constructed an organisation that you can rely on to achieve the best possible financial outcomes,” Nathan outlined. Nathan’s role is a recent innovation in the financial services industry and has evolved through a strong demand for wealth creation strategies that involve a collaborative approach to shares, managed funds and direct property. Nathan has over 16 years experience in the financial services industry. He has extensive knowledge in advising wealth accumulators and small business owners on how to build financial security and maximise lifestyle opportunities through to retirement. Justin has been working in the Financial Services industry for over seven years. He has a Bachelor in Communication, a Diploma in Financial Services and Diploma in Finance and Mortgage Broking. 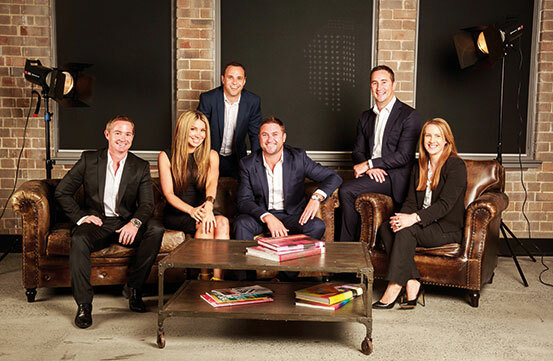 Justin’s passion is building rapport with clients, providing tailored solutions and then watching their wealth grow. Justin’s vision is to create a stress-free experience for his clients and to build long lasting relationships by providing excellent customer service whilst saving his clients money. Michael provides strategic wealth creation advice through property investment. His insights on vital issues such as the type of property, location, and property value ensure his clients make a smart property investment. Michael has over 20 years experience in the property industry and extensive knowledge in property building, development, and investment. He is also a strong negotiator with extensive auction experience and is a university graduate of the Executive Negotiation Program. Scott is an experienced general insurance broker. He has extensive knowledge of the insurance industry its underwriting processes, claims administration and policy terms. He is also a specialised insurance broker to business owners, farming operators and commercial property owners. Scott is dedicated to sourcing the right cover for his clients by understanding their business and the risks that need to be managed. Scarlett Financial provides you access to specialist consultants in Wealth Creation, Property Investment, Mortgage Broking and Insurance. Scarlett Financial consultants are industry experts with practical experience and an in-depth knowledge of their respective industries. Scarlett Financial combines direct property investment, shares and managed funds in a complimentary strategy. Unlike other advice firms who consider only one option such as property or shares, Scarlett Financial considers all asset classes based on market conditions and each individual’s personal situation. Scarlett Financial is a group of specialist consultants who work cohesively to deliver optimum outcomes for their clients. A unified strategy will ensure their financial position is complimentary structured. With all financial specialists within the one organisation clients can save time and gain a complete understanding of their financial position with consolidated reports. Scarlett Financial employs the highest calibre of staff and provides a professional and accessible service to their valued clients.